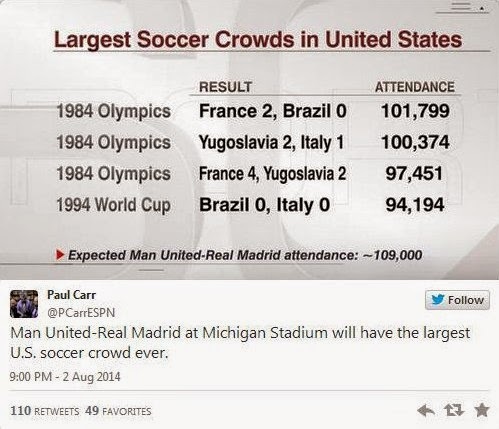 Naysayers who thought American fans would quickly lose interest in soccer after the World Cup were wrong. 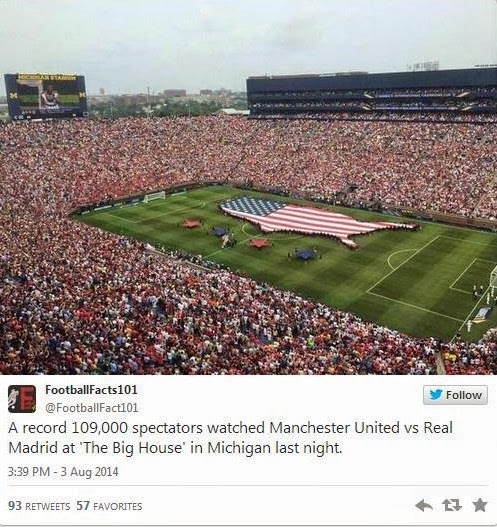 A friendly match between Manchester United and Real Madrid in Ann Arbor, Michigan, set a new record for U.S. attendance at a soccer match Saturday, according to multiple reports. 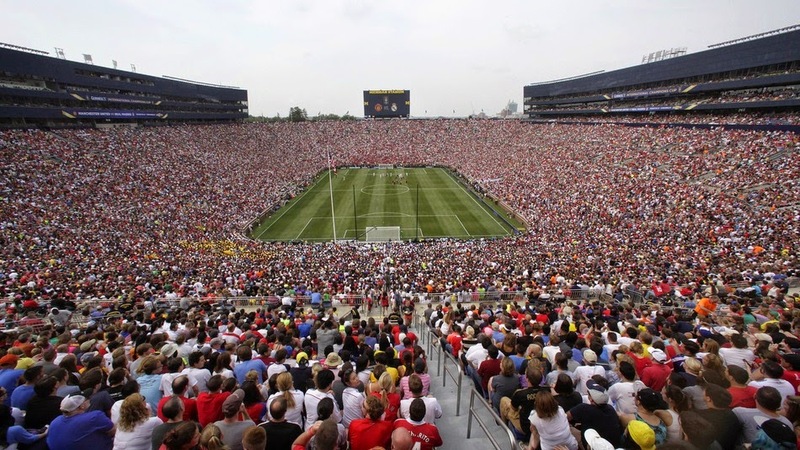 A sold-out crowd of 109,318 filled Michigan Stadium on Saturday, according to estimates, shattering the previous record of 101,799 set during a 1984 Olympic match between Brazil and France. 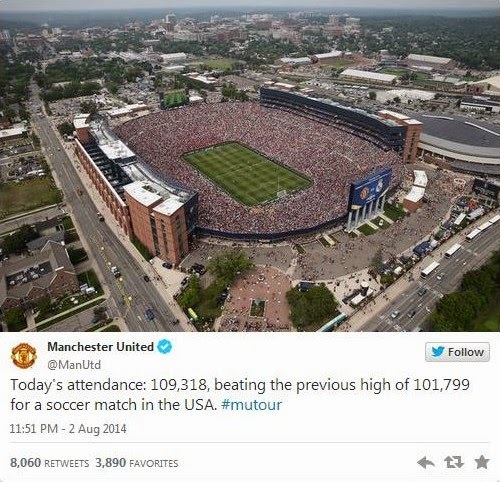 The turnout for the match between two of Europe's biggest soccer clubs underscores soccer's growing popularity in the U.S. 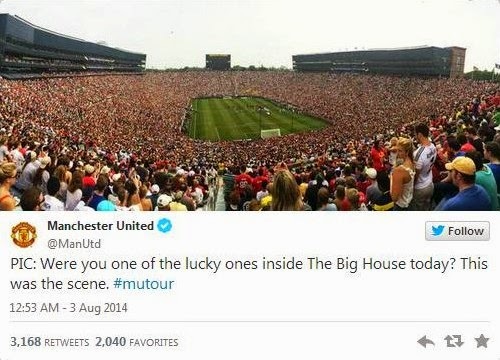 Fans paid anywhere between $45 and $189 for tickets to the preseason match, Yahoo Sports reported. 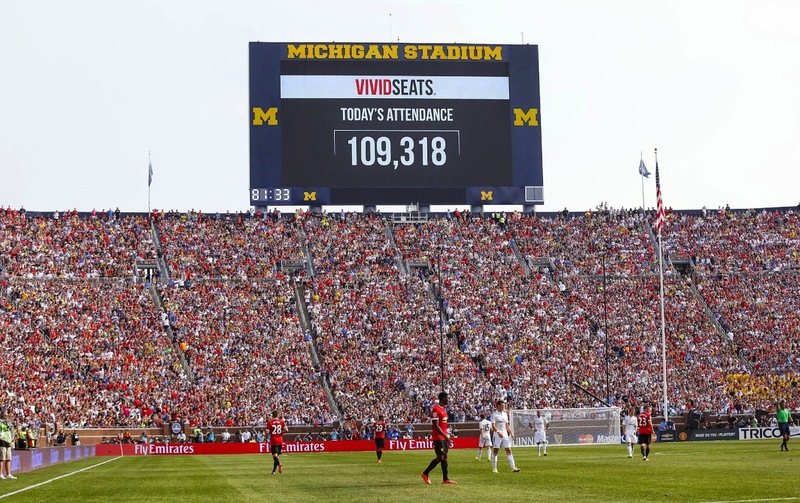 Manchester United beat out Real Madrid in a 3-1 victory, but the highlight for many fans in attendance was when Madrid star Cristiano Ronaldo made an unexpected appearance during the match's second half. 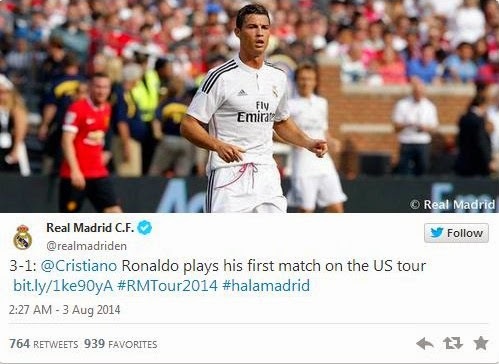 Ronaldo is still recovering from a knee injury that slowed him down during the World Cup earlier this year in Brazil, and was not expected to play, local news outlet MLive reported. 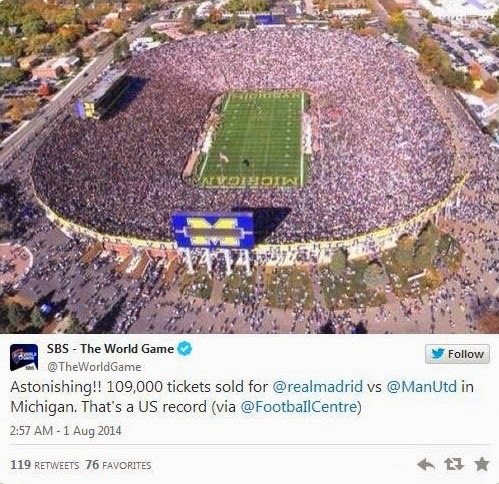 Although Saturday's game set a new attendance record for a U.S. soccer match, it did not beat Michigan Stadium's record for highest-ever attendance; that record stands at 115,109, set last year during a college football game between the Michigan Wolverines and the Notre Dame Fighting Irish.